Lifeguarding is the key purpose of our organisation and club. At Raglan we are always in the top 5 surf life saving clubs nationwide in terms of the number of rescues, first-aids and searches we conduct. 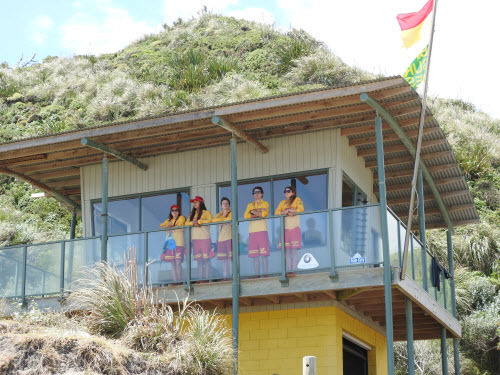 We also perform more Preventative Actions than any other beach in New Zealand which shows just how active our lifeguards are and have to be to keep the beach safe. At Raglan we run four patrols in a rotating 4 weekly pattern, where a patrol will cover a whole weekend. We patrol from 1100-1600 from Labour Day in October to Easter Weekend in March / April. During December-February we patrol until 1700. Typically we are first response for most marine emergencies while we are on patrol, with Raglan Coastguard not far behind. However in winter months we are on a call-out basis only.